We're kicking off our Summer guest blogger series! We are excited to be sharing posts from several awesome kid's bloggers this summer. 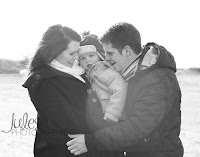 We hope you'll love their posts and head over and check out all the other great ideas they have to share on their Facebook pages and blogs. 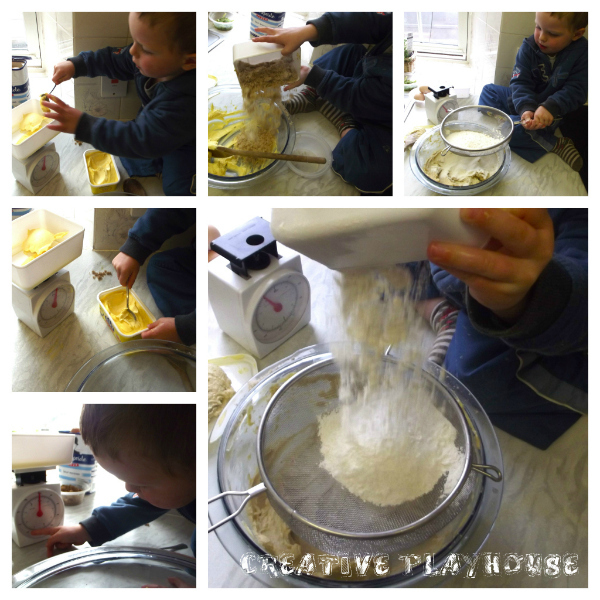 Today's guest blogger is Katherine from Creative Playhouse. 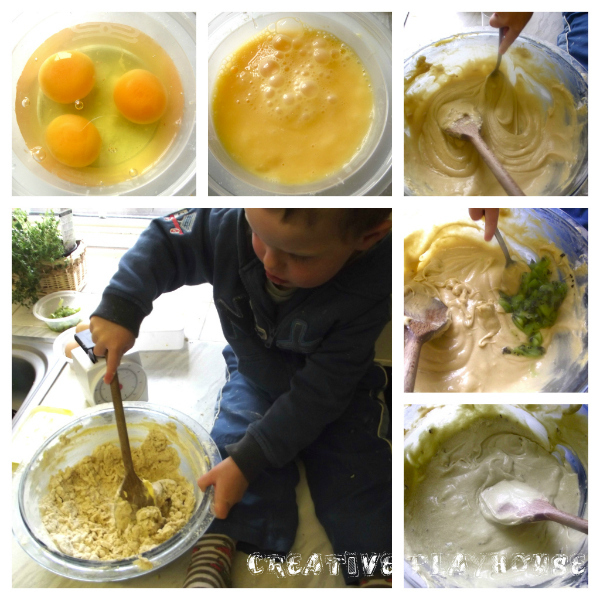 She is sharing a fun hands on baking activity that she did with her son. 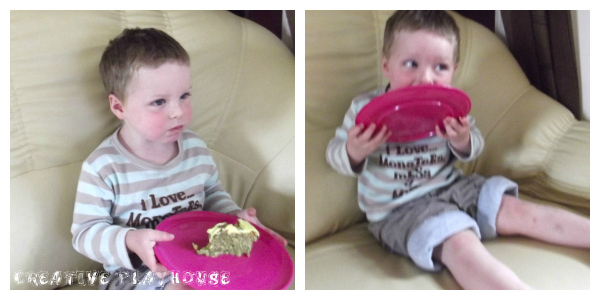 I'm so happy to be guest posting here at Toddler Approved, its such a fantastic blog! 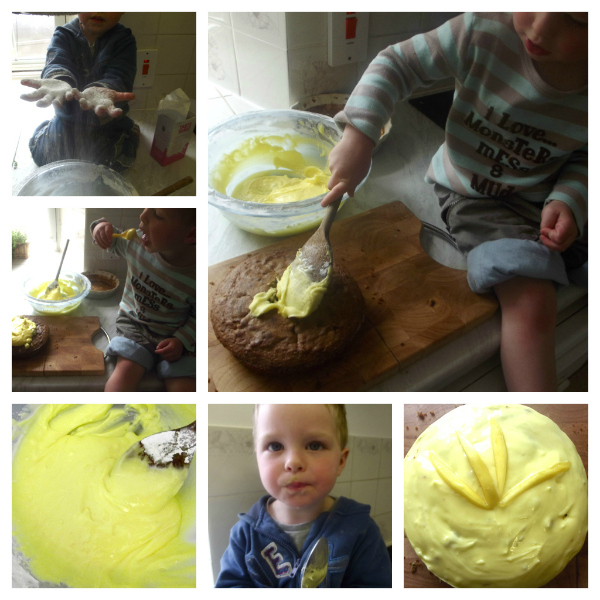 Hands on Baking - Kiwi Cake Baking is one of Jake's favourite things to do; I think partly because its an edible feast of messy, sensory and purposeful play, and partly because its an activity that we do completely together. He is always really proud of the cake or cookies or whatever else we have made once it's finished and definitely enjoys eating it! Preparation is key! We got all our 'gredients' and everything else we needed out first. 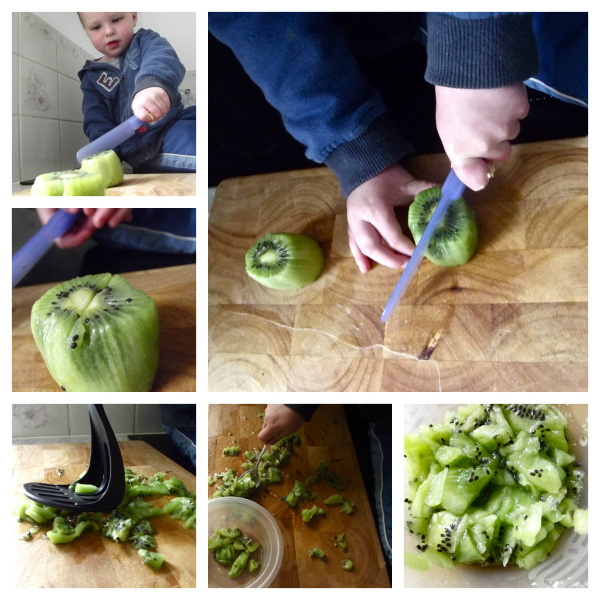 Jake loved preparing the kiwi fruits - he is learning how to cut his food up at the moment (he's 2.5 years old) so he really enjoyed being able to chop and mash it up and then spoon it into the bowl. 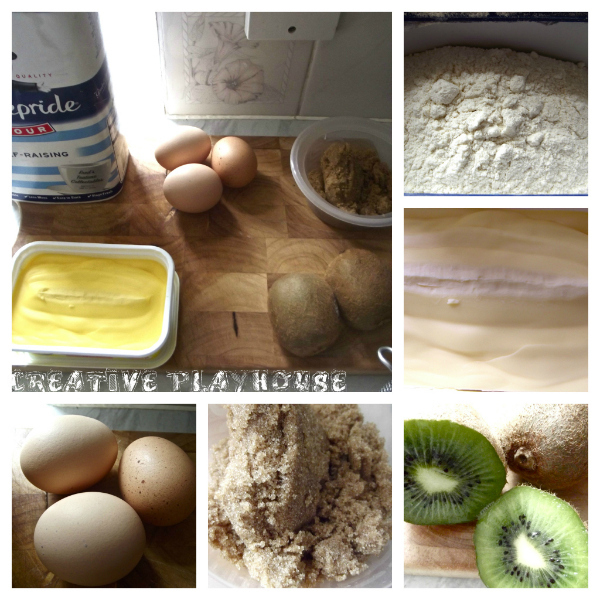 To make the cake you basically just mix all the ingredients together in a bowl! Simple. Bake in the oven at 180 c (approx. 350 degrees F) for about 20 minutes, leave to cool before removing from the tin and icing it. As Jake found the right number on the scales, scooped out the butter, poured, sieved and stirred in the flour I realised just how many skills he was learning and developing as we baked! We cracked and counted out the eggs (Jake is just fascinated by eggs at the moment so this was very exciting!) and added up our mushed up kiwi. The cake mixture started to turn a lovely green colour! 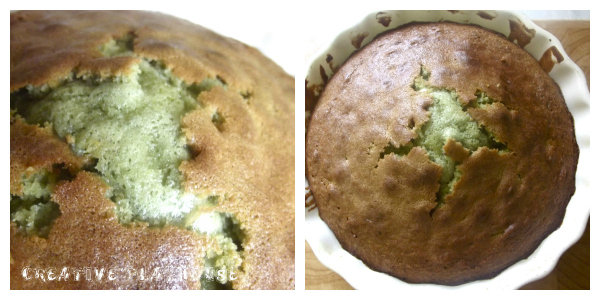 We added a bit of green food colouring to make it even more green! Then we put it in our cake tin and into the oven. And this is how it turned out - it looked amazing, like some sort of dinosaur egg or something! I almost didn't want to ice it! But ice it we did, because icing is a lot of fun! (You may have noticed the change of clothes! That was due to the icing sugar and water that Jake covered himself in...) Jake exclaimed that icing sugar is "like snow flakes" as I sieved it into the bowl and he tried to catch it all (FUN!!). In between eating spoonfulls of it he did a great job spreading it all over the cake and decorating it with some mango slices (I only helped a bit). Katherine has a background in special education, early years childcare, and is educated in the creative and performing arts. 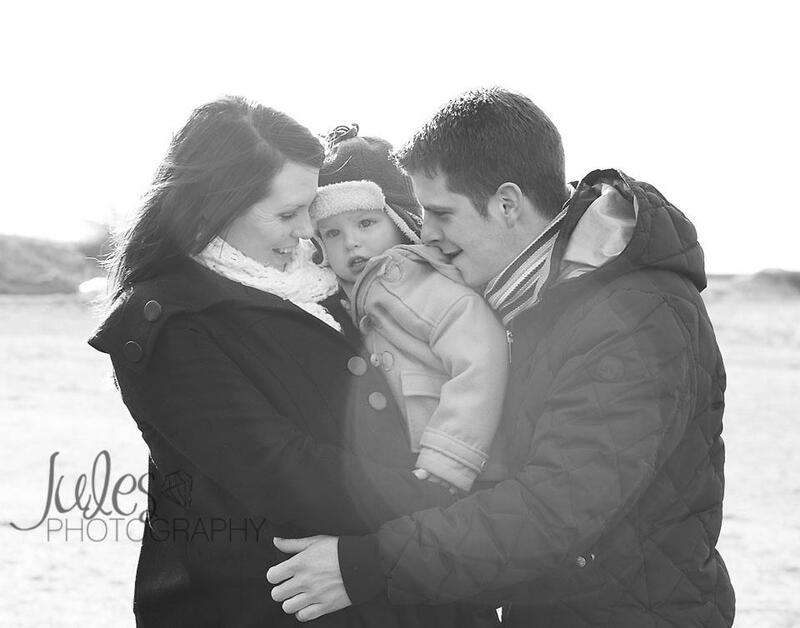 She blogs at Creative Playhouse about her children's activities and interests, runs an online community of Mums in Jersey, and is a stay at home mum to Jake (2.5) and Poppy (3 months). I'm the kid's craft contributor at Life Your Way. 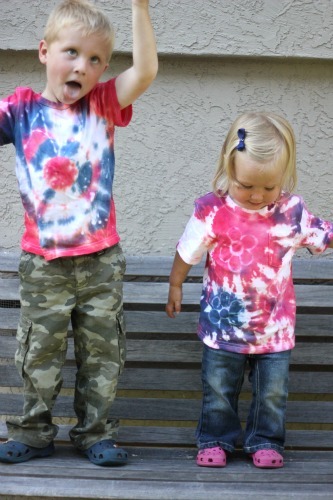 This week I am sharing three classic tie dye camp crafts with a twist. I'd love for you to stop by and share your favorite camp crafting memory from when you were little! I wanted to let you and your readers know about a giveaway I'm hosting on my blog. 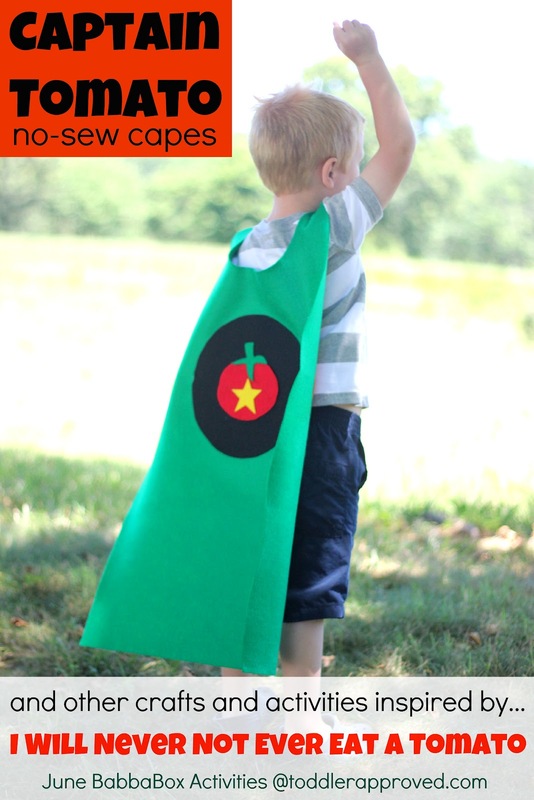 It's for educational printables from Little Learning Lovies. We love cooking at out house, and this looks delish!